Antidote Choco’s founder and creative mind Red Thalhammer is far from your average chocolatier. The Austrian native’s first experience with food was through her family’s restaurant and farming business where she worked since the age of 10 - starting with selling soft-ice cream. She became a communications designer, and in the latter decade of her solid career, she specialized in packaging design and branding for fine foods and beverages. Her original work under the company name Tripple Red has brought her nominations and a feature in the book The World’s Best 200 Packaging Designers. She wanted more: To create a product on the inside and not just on the outside; this idea became an obsession. Red’s passion and expertise for consumer products was the impetus for her to make her own product. With her passion for wellness, her personal exploration of the subject, complimented by Austria’s tradition of delivering the most outstanding desserts, all led her to chocolate since cacao in its natural state is one of the most desirable and powerful superfoods available. Awakened by a desire to re-invent and re-design in a socially responsible way, Red is continuously inspired with ideas for new flavors and new products while running the company and many other things. 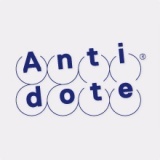 Antidote is also financed by self-made bucks. Click here to see Red speak about her inspiration, her vision and creation.